The rolling hill country in north-central Illinois is where you’ll find the Johnson-Sauk Trail State Recreation Area (SRA), and if you’re someone who likes to get outside and play, this is one place you’ll want to mark on your map. The area has been a popular place for years, as it was on the path Native Americans followed from Lake Michigan to the Mississippi. Today, it’s more known as a place to fish, boat, hike, hunt, and ski. You’ll find the Johnson-Sauk Trail just off Illinois Route 78, north of Kewanee. It’s also just a 20-minute drive from the Chestnut Inn in Sheffield, a B&B that would make a perfect stop for the night. 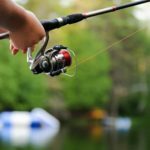 With a 58-acre lake and a healthy population of bass, bluegill, bullhead and other popular sport fish, Johnson-Sauk Trail SRA is a major draw for fishermen. A marina with boat launch adds one more reason to drop a line here. Hikers will find miles of trails that are designed to interconnect so you can hike from as little as one mile up to an 8-mile loop around the lake. When it snows in winter, ditch the hiking boots and step into cross country skis to enjoy a nice workout. If you’ve got kids in tow—or know a few kids at heart—the park’s hills are perfect for sledding. For those who like to hunt pheasants, this is a choice place to come. Johnson-Sauk Trail is considered one of the Illinois Department of Natural Resources’ top controlled hunting sites, and pheasants are released daily during hunting season. Johnson-Sauk Trail SRA is a wonderful mix of Illinois topography—woods, grasslands, hills and lake—and a great place to play. 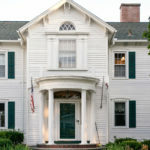 Located north of the trail in Sheffield, Chestnut Street Inn is not only a wonderful historic inn with four luxurious en suite guest rooms, it is one of the best places to dine in the area, for both breakfast and dinner. Check it out! This entry was posted in Cross Country Skiing, Hiking, Hunting, Illinois Bed and Breakfasts, Outdoor activities and tagged Illinois B&B's, Illinois Travel, outdoor activities by admin. Bookmark the permalink.